Tests if the evoked response is significantly different between conditions across subjects (simulated here using one subject’s data). The multiple comparisons problem is addressed with a cluster-level permutation test across space and time. 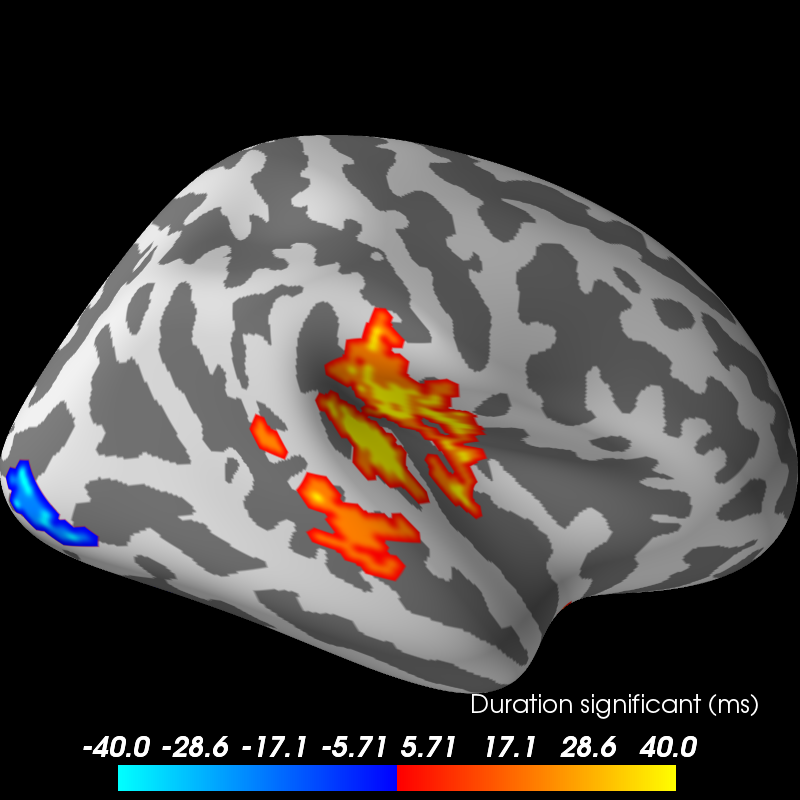 Normally you would read in estimates across several subjects and morph them to the same cortical space (e.g. fsaverage). For example purposes, we will simulate this by just having each “subject” have the same response (just noisy in source space) here. Note that for 7 subjects with a two-sided statistical test, the minimum significance under a permutation test is only p = 1/(2 ** 6) = 0.015, which is large. #    Let's make sure our results replicate, so set the seed. Simulating data for 7 subjects. It’s a good idea to spatially smooth the data, and for visualization purposes, let’s morph these to fsaverage, which is a grade 5 source space with vertices 0:10242 for each hemisphere. Usually you’d have to morph each subject’s data separately (and you might want to use morph_data instead), but here since all estimates are on ‘sample’ we can use one morph matrix for all the heavy lifting. Finally, we want to compare the overall activity levels in each condition, the diff is taken along the last axis (condition). The negative sign makes it so condition1 > condition2 shows up as “red blobs” (instead of blue). #    Here we set the threshold quite high to reduce computation.